State Session is over and a new CWA year is here. The biggest change this year will be the date and place for the State needlework judging. It will not be held at Celebrate. Our Harvest of Handicrafts will take place at Hillstown Grange Hall in East Hartford on July 30-31, 2016. I hope the extra time to make your entries will result in a larger number of people entering. Don’t forget, non-Grangers are eligible to enter. Judging will take place on the 30th at 12:00 noon. Details for breakfast and/or luncheon on the 31st are not complete yet. Stay tuned. Congratulations to all the Granges that received their certificate of Excellence. 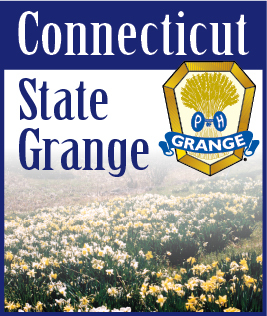 The efforts that each Grange has put forth to help out in their community are what CWA/family Activities is all about. As your State director I commend you and thank you all.